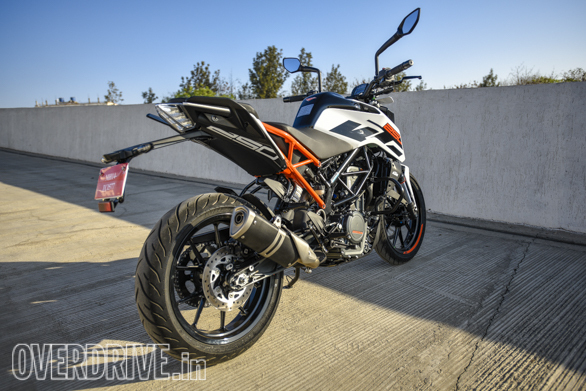 KTM's all-new 250 Duke is here and is priced at Rs 1.73 lakh, ex-Delhi. 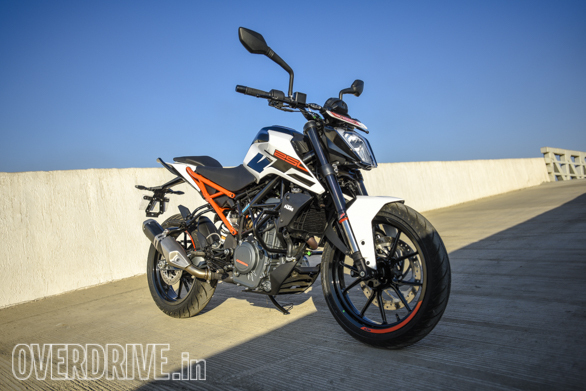 The motorcycle looks identical to the new 390 but the meters as well as the tyres are from the smaller 200 Duke. 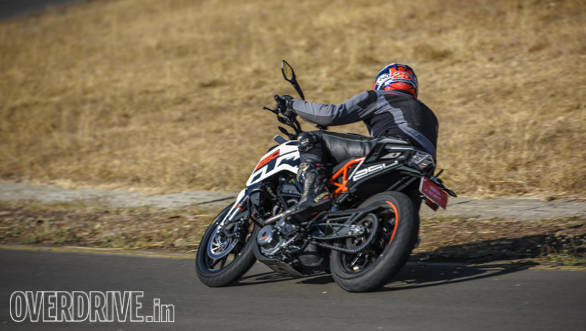 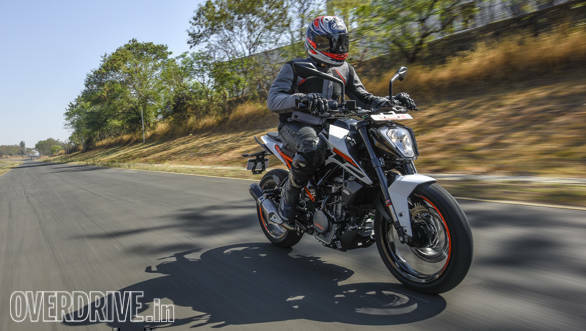 In the process, the KTM 250 Duke also misses out on ABS - Bajaj says that this has helped them price the motorcycle competitively in the 250 segment. 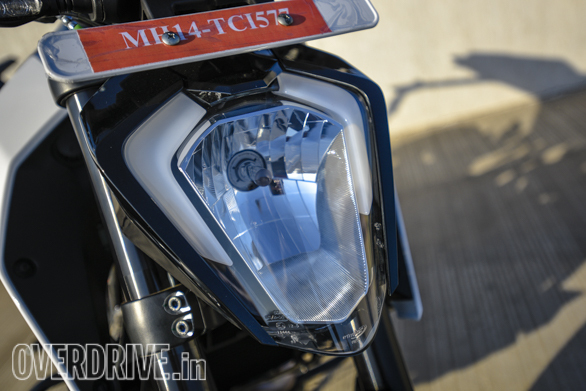 While you can read our first ride review here, an expansive image gallery is just a scroll away. 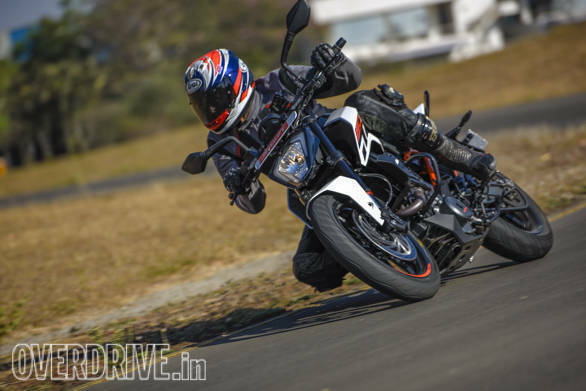 The KTM 250 Duke's meters are the familiar units we already know. 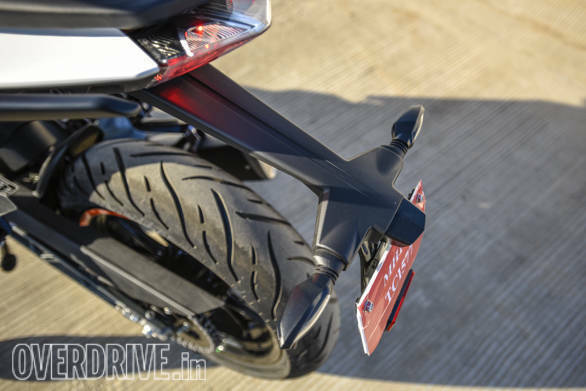 These are shared between the 2017 RC200, RC390 and the KTM. 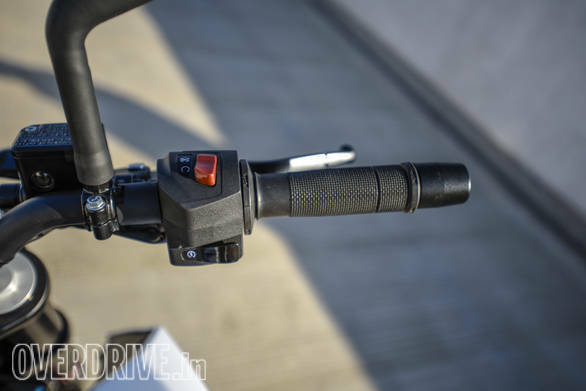 The only change is the information display in the middle. 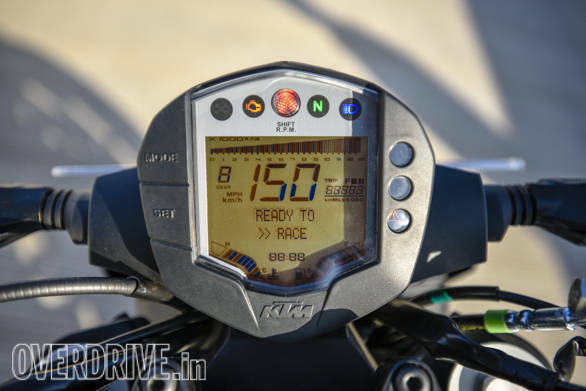 The old display showed two lines of information - say range and instant economy. 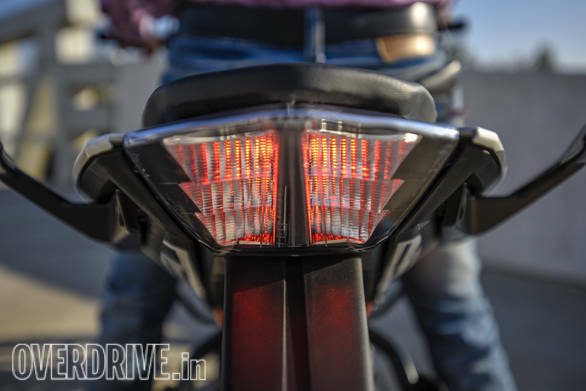 This one shows one piece of information at a time using both the lines. 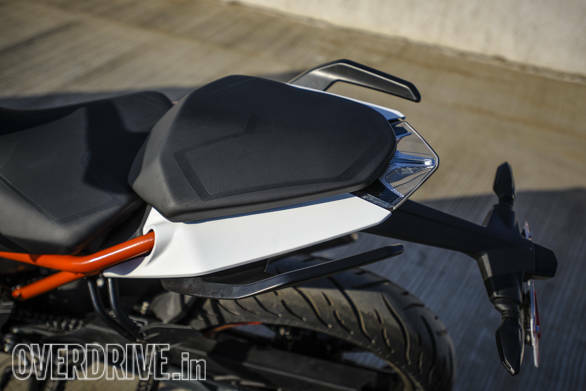 The 2017 KTM 250 Duke has sleek little number plate holder but we can see how a tail tidy will look even better. 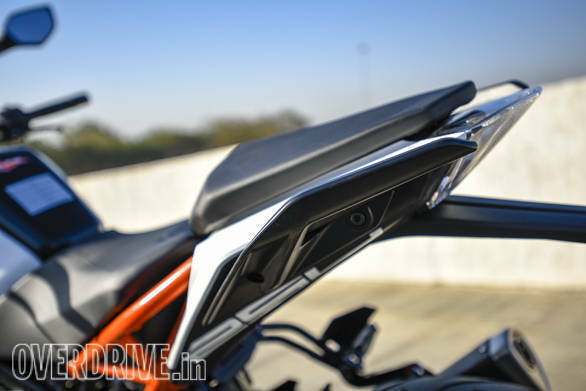 The split grab rail design on the new KTM 250 Duke neatly integrated into the motorcycle and does not interrupt the sharp likes of the tail piece. 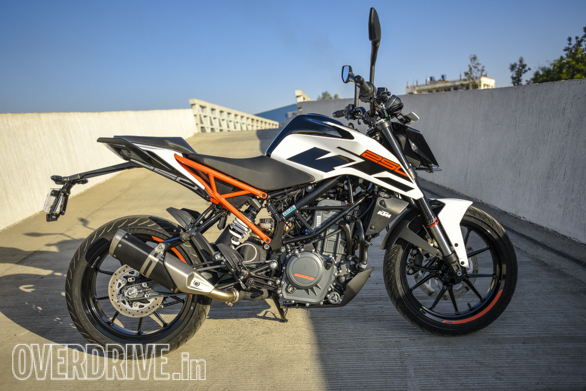 The new design of the 2017 KTM 250 Duke is striking, especially in the white.